Interview conducted with showing artist, Nathan Wilson. Taylor Robenalt and Tyler Staggs also on view during the night’s event. Ringling Museum starts 2015 with fourt mixed media artists: Nathan Wilson, Taylor Robenalt, Corbett Fogue, and Tyler Staggs. The event’s artist liaison, Natalya Swanson, conducted an interview with Mr. Wilson. More information on the event can be found following the interview below. 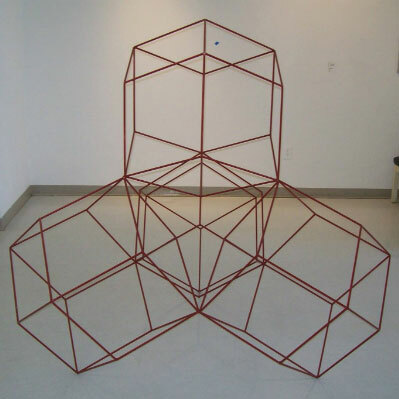 Nathan Wilson specialized in the field of mathematically inspired art at New College of Florida. Conceptually, where does your artistic process begin? Once I have completed my research on a body of data which promotes my imaginative and technical growth I begin to understand the variables and mechanics of that given system. I do not take credit for the discovery of natural forms and thus, I think my artistic process begins when I start augmenting the “perfect” forms that I have been researching. Without the knowledge of any descriptive geometric vocabulary most human beings can identify abnormalities in an object with rotational symmetries. 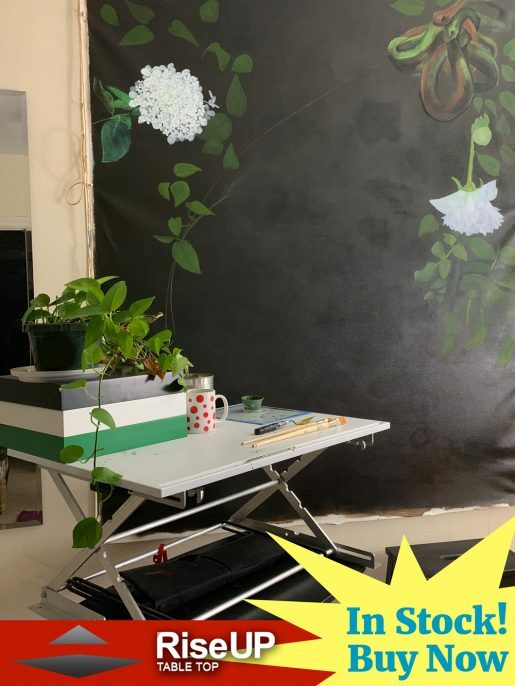 Therefore, another part of my artistic process involves the disguise and vanishing of certain intended abnormalities through the manipulation of perspective. For many of my pieces there are special axes of perspective which yield symmetric two-dimensional projections. Experimentation with the expression of 2D projections through alterations to 3D structure and vice-versa is a large component of my process. What initially influenced your decision to incorporate musical elements into your sculptures? In what way has this evolved? I developed my idea for a multi directional speaker system after a collegiate study project, which focused on optics. I drew connections between the energy mediums of sound and light, which both manifest in wave fronts. If the physical orientation of lenses effects the dispersion or concentration of light sources, so should the physical orientation of loudspeakers effect the dispersion or concentration of sound in a room. To create a symmetric wavefront I designed my speaker cabinets using polyhedral geometry. “The Decagon”, one of my speaker projects, exhibits elements of sound focusing and sound dispersion by combining two polyhedral structures into a single volume. 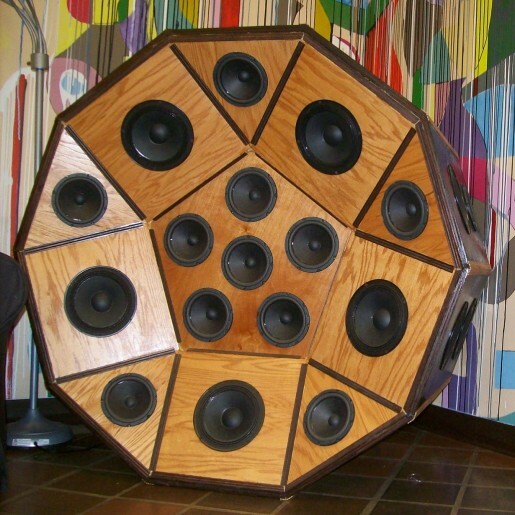 Through my studies I have worked to minimize the volume needed to house the maximum number of loudspeakers on a polyhedron with spherical curvature. Geodesic augmentation of the icosahedron provides the perfect framework to push the parameters of my sound devices. What influence does architecture have on your artwork? I believe that a door is closed in the imagination of a human being that only has exposure to cubic structures. I grew up in NYC and I can testify to the fact that after a while I just stopped looking up. Instead I found fulfillment in Central Park and at public museums. I was especially fascinated by the natural structures exhibited in the gems and minerals exhibition at the Museum of Natural History. Fast forward 15 years and I was writing a thesis regarding the applications of crystalline structure on the Arts and Sciences. Applications of periodic and quasi-periodic crystal structures are certainly present throughout Islamic architecture and design. The manipulation of perspective in the construction and decoration of these structures illustrates a clear mathematical understanding of tessellation in two and three dimensions. I am also inspired by the inventions and architectural contributions of R. Buckminster Fuller. Fullers’ applications of geodesics and tensegrity to housing and transportation are amongst many innovations concocted by this one individual over 40 years ago. I believe that technology has progressed to the point where we may be ready to implement some of Fullers revolutionary ideas. I also believe that there are still many undiscovered applications for the Sciences and Arts in architecture and technology. Geometry is a strong element in your work. 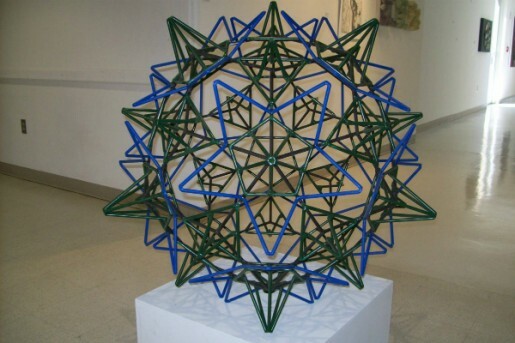 Can you discuss the relationship between mathematics and art? I began studying geometry because I thought it would be a structured way to develop my physical vocabulary. Through my study of physics I have come to understand elements about the structure of solid matter and have come to respect the classical philosophies of shape. The catalogue of regular uniform polyhedra lists the symmetric the ways that 2D shapes can orient themselves about a single point to form a volume. My study of the crystalline atomic bonds in solid matter, which approximate polyhedral tessellation, has changed the way I view composition at all scales. 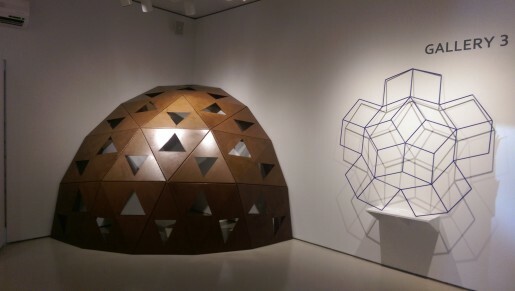 Each form expresses unique characteristics such as surface area, volume, and dihedral angle, which I use to inform my decisions during the composition of my pieces. There are an infinite number of ways to subdivide a space and mathematicians have documented an impressive number of them. Mathematics helps me to break down large, complex forms into constituent pieces which I can handle easier. The more pieces I can break an idea into the greater level of detail I can articulate when I rebuild it. For me, mathematics is the language of form. Has living and working in Sarasota influenced your artistic intent? I am very grateful for the help I have received form my friends in the local arts community. I have them to thank most for the continued progression and evolution of my career in Sarasota. Through stage design I am hoping to work with local musical and theatrical acts. My work last December with Fuzion Dance Company was an incredible opportunity to push the functional parameters of my structures. The Ringling Underground presents a similar opportunity to explore the interdisciplinary possibilities of performing artists working with visual artists. I believe that collaborative projects, which source artists from multiple disciplines, yield the most dynamic results. Admission is $10. The event is free for college students with valid college ID, members, as well as those with ‘Art After Five’ admission. Select galleries are also open until 11pm. Next Next post: Sarasota’s Artist Collective, SARTQ Returns!